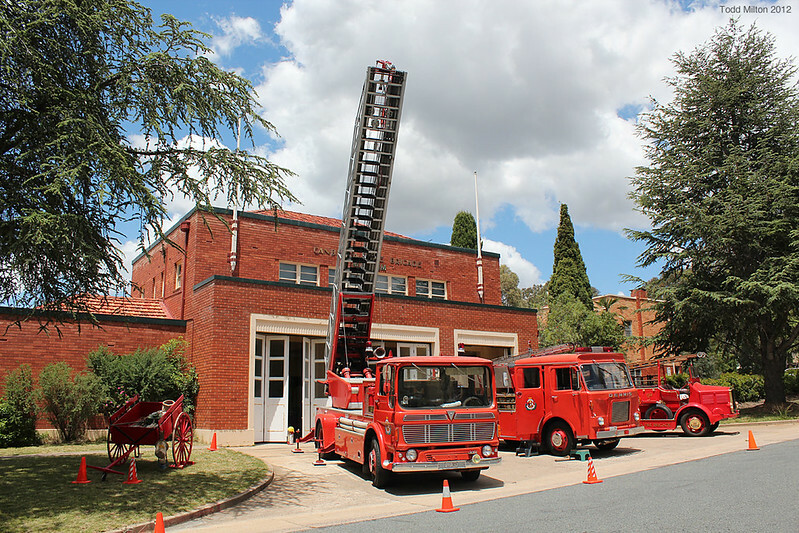 Today I went out to the Canberra Fire Museum located in Forrest at the old Forrest Fire Station. 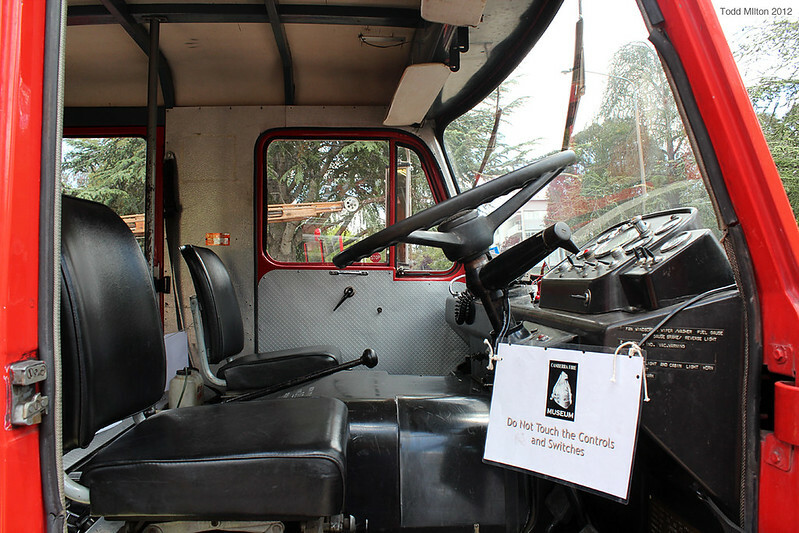 The museum has some operational vehicles as well as some vehicles under restoration, as well as other historical items (uniforms, photos etc) located in the station itself in various offices and garage area. Out the back of the station is a Dennis F12 which I was told should be completed soon, work is also progressing on some other items at the rear of the building in the work sheds. The museum is open to the public on Saturdays only, with opening hours being 9am to 3pm. The museum is located on the corner of Empire Cct and Fitzroy Street in Forrest, for those unfamiliar with Canberra if you head from Parliament House on Canberra Avenue, take a left onto Empire Cct and the station is on the right. Entry is by gold coin donation, but I am fairly sure if you donated more than a gold coin they wouldn't mind! Beautiful stuff! Just brilliant! Thank you! They have a fine collection there, and the staff have done a wonderful job on the restorations. The Dennis 250 (picture #2) is a bit of "artistic licence" as the CFB never operated this model. 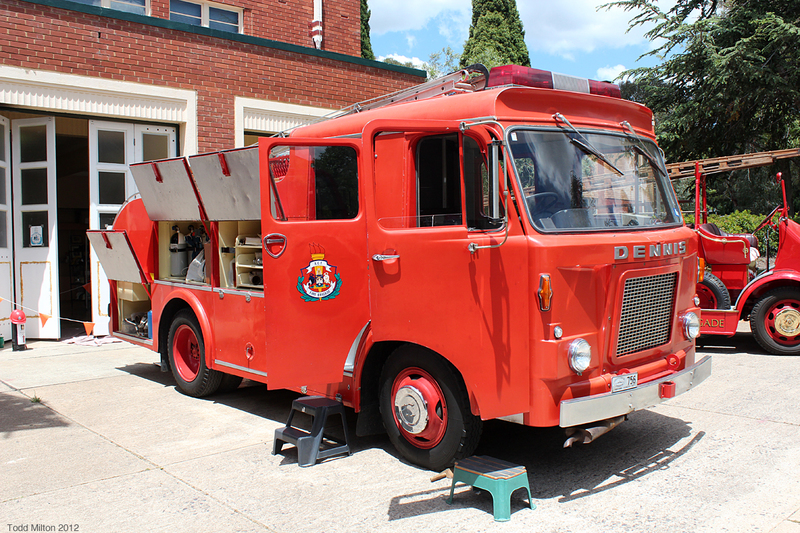 Sorry to bring up an old thread, but seeing the ex-Canberra Dennis fire truck with that Jag motor reminds Crazyturbo76 of the Dennis fire trucks which also had Jag motors that operated for the New South Wales Fire Brigade during the 1970s-1990s. Of course, our ones got new engines at refurb. The Canberra Dennis Jag was exactly the same as the NSWFB ones, as the NSWFB actually operated the CFB in those days. The Jag motors wore out very quickly as they were not suited for this style of work. Complete rebuilds required at 20K kms for some of them. boronia wrote: The Canberra Dennis Jag was exactly the same as the NSWFB ones, as the NSWFB actually operated the CFB in those days. I wonder which person in the NSWFB decided to put PETROL Jaguar engines in fire trucks. 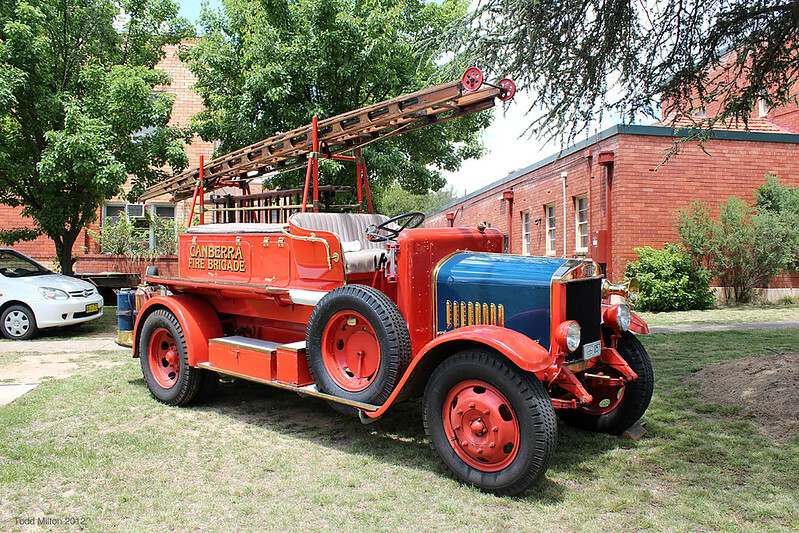 Obviously everyone knew by that time petrol engines were for cars, not trucks; perhaps Leyland or AEC were too busy (or too broke) to supply DIESEL motors for Dennis to use in their fire trucks? Then again Dennis was a specialist builder and was much smaller than the BL conglomerate, so that would have probably been another reason. Despite that we switched to Internationals after that. The Perkins 6-354 diesel was available as on option on this model, but I personally think they would be less suitable for the job than the Jag engines. 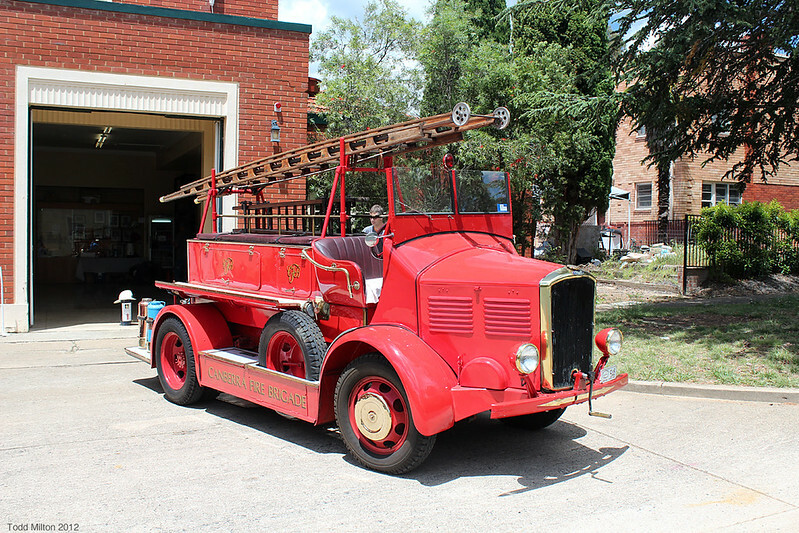 Petrol engines were still considered more suitable for light-medium fire appliance use, hence the popularity of Inter V8s in the 70s and early 80s. Cost was a major consideration back in those days, and if the petrol engine was cheaper than the diesel, that is what got chosen. Even options like coolant heaters were dropped to save a few dollars on the purchase price, only to result in massive costs of rebuilding engines being worn out from running cold.